Another average reading month for me - 6 books read - but not average quality-wise... taking that into consideration it was a jolly good month. 58. Leap In: A Woman, Some Waves, and the Will to Swim - Alexandra Heminsley. Already a seasoned runner and marathon participant, Alexandra Heminsley decides to take up swimming. She can swim, but not all that well. She watches other people do the front crawl easily and wonders why she can't seem to master the stroke. She takes lessons and realises it involves very precise breathing. Why can't she master it? Well of course she does... in the end. Her 'journey' is quite interesting, I really admired her perseverance and the lengths (no pun intended) she was willing to go to to achieve her goals. A longish teaching session at the end was not quite as interesting but not a bad read, a bit different. 59. Picnic in Provence - Elizabeth Bard. American, Elizabeth Bard, has written two books about her life in France. Naturally this is the second book and I've not read the first, which involved her meeting Frenchman, Gwendal, and falling in love. On holiday in Provence they fall in love with a very old house previously owned by poet, René Charr. They buy the house and, after their first child is born, uproot themselves and move into it. The book is about how they acclimatise to a very different lifestyle to the one they had in Paris. The people are very different for a start, life is much more laidback and attuned to the seasons. 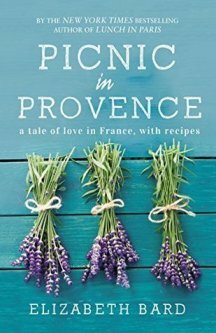 Elizabeth loves cooking and in Provence you can really indulge that sort of passion. Loved this book. It seems I never tire of reading about how people cope with cultural differances and experience steep learning curves in foreign countries, especially France and especially Provence. Plus there are recipes! What's not to like? Synopsis from Goodreads: From the grand tour to the global village, novelists and poets have made particularly observant travelers. Many writers have been prone to wanderlust, eager to explore the world and draw inspiration from their travels. They recorded their notes in letters, journals, essays and books. 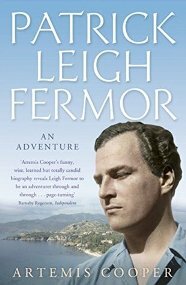 In some cases, these became celebrated examples of travel writing, such as George Orwell’s Homage to Catalonia, but there are many more accounts which remain overlooked. This collection takes us on a literary journey around the world, through extracts from Arthur Conan Doyle in Australia, Aldous Huxley in India, Charles Dickens in Italy, Henry James in France, Mary Wollstonecraft in Sweden, and many more. Quite a sumptuous book this. 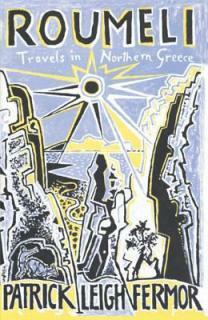 Fabulously illustrated with paintings various artists have done of the regions covered in the book. It's split into sections: Africa, Asia, Europe, The Poles, Australasia, and more. Being an armchair traveller I enjoyed it enormously, the selected extracts come from journeys taken centuries ago right up to those undertaken in the 20th. century. 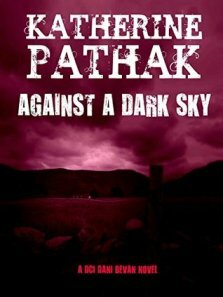 A book to keep and dip into when the mood takes you and for finding authors and books to explore further. It seems my reading this month has been split right down the middle: three excellent crime/murder mysteries and three equally good non-fiction books. Very happy with that state of affairs. Once again I'm not going to choose a favourite book of the month. They were all very good in different ways. It was a very satisfying month all round and I wish every month was as good for reading. And here we are in the last month of the year... not at all sure how we got here so quickly and to be honest it's a bit scary but, regardless, happy reading in December. Wow! You never slow down! I am glad they were all good reads! It's so hard to believe that we are in December already... I hope your future reading for 2019 is just as good as this year has been!! Nice month Cath. Picnic in Provence sounds good. I agree, Cath. December did come very fast this year. I think that happens more as you get older, and I have noticed that in the last few years. I hope December 2019 comes soon because then I will retire. Your month of half mysteries and half non-fiction sounds good to me. I have a few non-fiction books I am reading a bit at a time, but most of them are about books. Pat: I know, December has arrived like the rest of the year didn't exist. Odd. Really looking forward to 2019's books, hopefully there will be a few gems. Diane: Picnic in Provence was the best of my non-fictions last month. Thoroughly enjoyed it. Tracy: Yes, It does happen as you get older. I can remember when I was young listening to older people saying that time speeds up and thinking, 'Yeah, right.' Now I see the reality of it. I too hope your retirement arrives quickly. I bet you can't wait! I love books about books, I hope you'll post about them when you've finished. As you would expect from me, I am more excited by the three crime / murder mysteries, all of which sound exceptionally good, although I am hoping that the Fred Vargas series of 'Commissaire Adamsberg' stories work okay as stand alones? The Alexandra Heminsley story did make me smile, as I have never been able to swim and no-one able to teach me and I do mean NO-ONE, although plenty have tried! What a lovely mix of books. Of course the crime fiction appeals to me but also the nonfiction.I'm not a good swimmer and don't really enjoy it, but the Alexandra Heminsley book sounds good and I do find swimming and breathing at the same time so difficult! The other two sound just the books for me - you do find good ones! I read the first book about their meeting in Paris. It is really wonderful. I think you'd like it, even if you read the second one first! I just went back to my book report, and it made me want to read it all over again, and then the second one (which I own). Yvonne: Yes, the Adamsberg books can be read as standalones. There is a bit of personal backstory but nothing that would stop you reading any of them. In fact I've read up to book 5 but have also read book 9 out of order and it was fine. I used to swim as a teenager in Penzance. Not confidently but a bit. At some stage I lost the ability to do it and am now a non-swimmer, which is a shame really. Margaret: I always think swimming is much more difficult than people would have us believe. I used to be able to swim a bit as teen, but sadly not any more. Nan: After reading your lovely post on the first book I must now see if the library has it. I had no idea that you're as keen on French books as me and also have a shelf full of them. I still have a nice few to read and those are in my 2019 reading plans.